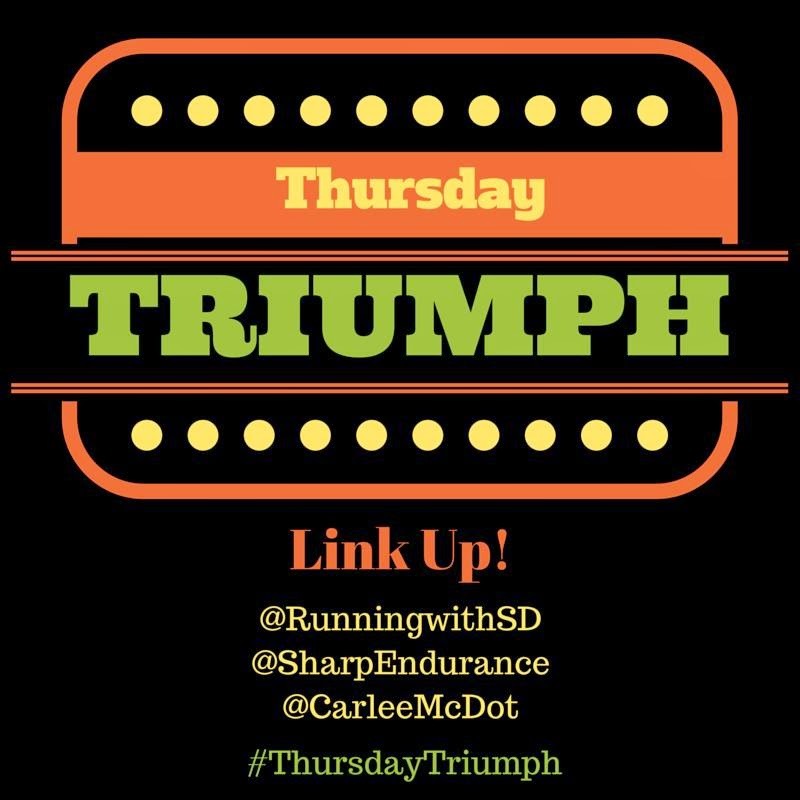 Welcome to the BRAND SPANKIN' NEW Thursday Triumph Link Up. Two amazing blends (bloggers + friends) and I felt like there seemed to be a void of Link Ups on Thursday, so why not start our own?! A BIG THANKS to Smitha and Linzie for including me in this! Tomorrow I will get on a plane and head to Eugene for my FOURTH Full Marathon in less than a year! Sure, sure, I know this doesn't sound like a ton when compared to some other runners who do this in a span of a month, but for me, this is HUGE! I only started running about 3 years ago to begin with! And even then I was someone who said "I will NEVER run a full marathon". Lo and behold I will be running my fourth come Sunday morning. Not only that, I have done them each in a different state. How cool is that?! 1: Santa Cruz, CA, 2: Orlando, FL, 3: Phoenix, AZ, 4: Eugene, OR. As of right now (because now I know never to say never), after this one I am planning on hanging up my marathon shoes for a while. Don't get me wrong, I still have a ton of races on my calendar (I even have 3 more before the end of May), but I think my body needs a bit of a break from the marathon distance (and especially those 20 mile training runs). I am so proud of what I have been able to accomplish thus far. I will NEVER be an elite runner, but I am actually starting to see myself as an athlete which is kind of a BIG DEAL for me! Praise the Lord that He has given me the ability to continue putting one foot in front of the other, all with a smile on my face and enjoying this new found passion! 3. Link back to Running With SD Mom, Sharp Endurance & Carlee McDot so others can add their link up and find others too! You can use the above graphic if you'd like! Awesome idea for a link up. I look forward to reading all of the triumphs. I just love positive things to read - very cool! Love it Carlee! I hear you about that marathon distance - it'll be about a year after my first full before I even start training for my second! I'd said "never again" ;) I maaaay just have to link up with this! great idea for a linkup-I am going to add to it right now!